Whenever you get stuck by any disease whether it’s a skin disease or organ disease bacteria play their part. And likewise if we take acne into consideration, it’s also caused by bacteria called Propionibacterium acnes or P. acnes. Have you ever wondered why you are always instructed to use your own towel and keep it clean? Or why you are told to change your pillow cover once in every week? This is because they might be infected with bacteria that cause acne. 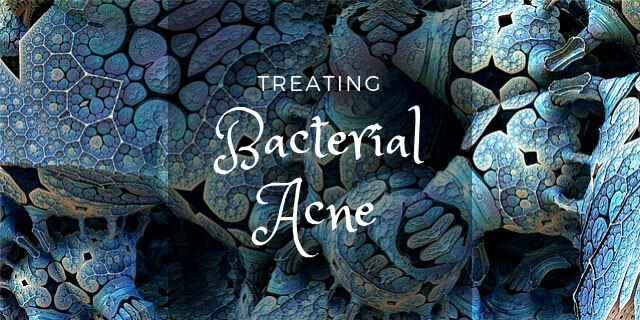 Just like comedonal and hormonal acne, bacterial acne is also a type of acne that is purely caused by the invasion and colonization of bacteria on your skin. And in case you are not an acne-sufferer but broke out recently, it might be a sign that you have been infected with the acne bacteria. 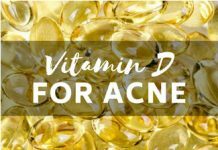 In this post our main target is to focus on how acne is caused by bacteria and how you can combat it. Besides, it highlights scientific research and any opinion provided by the experts in this regard. 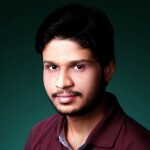 Moreover, we’ll add a few product reviews for your ease. 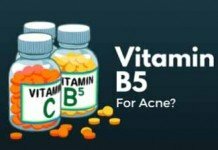 How Acne is caused by Bacteria? The acne bacteria live on everyone’s skin but they exist as two different strains- good and bad as determined by the Washington University School of Medicine researchers. This concludes that bacteria residing on the skin not only trigger acne but some help in maintaining a healthy skin. Anyhow, the bad strain of bacteria is supposed to cause you acne. But how does that happen? Let’s have a brief insight. Propionibacterium acnes is a tiny microbe that thrives in the oily regions of your skin especially those that are clogged with sebum. It is simply because these bacteria survive naturally in low-oxygen environment. 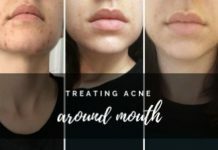 How does it Trigger Acne? When any external changes occur like hormonal changes at the time of puberty or stress your sebaceous glands oversupply sebum thus, generating an environment suitable for bacteria multiplication. This is why more sebum means more bacteria. 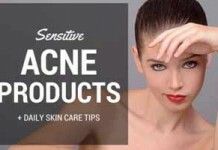 P.acnes secretes substances that break down sebum and then consume it as food. When these bacteria increase, the secretions made by them irritate the surrounding skin tissues. As a result, your skin triggers an immune response due to which red swollen bumps develop and are called acne. 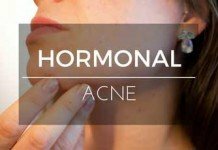 There are key differences in bacterial and hormonal acne which are highlighted through an expert’s opinion. Exfoliate regularly with a gentle acne cleanser. Spend some time in the sun with an SPF as UV rays help kill bacteria. Adopt a probiotic skincare in your routine as they balance bacteria. Seek out hormone balancing products. Incorporate phytoestrogen-based products in your skincare regimen. Use treatment products with organic ingredients. 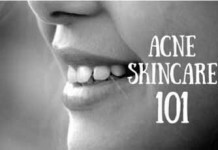 What Does Science Say on Fighting Acne Causing Bacteria? 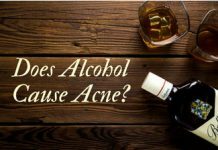 The former part of this portion deals with studies that observed the behavior of bacteria that cause acne. Whereas the latter part of this portion sheds light on how you should combat the bad bacteria. Research shows that the acne bacteria is also present in the hair follicles of people who have clear skin not only those who have blemishes. According to a new research the real culprit behind acne is not actually the presence of bacteria but the imbalance of bacteria living on the skin. Balancing the bacteria is the key not wiping them out. 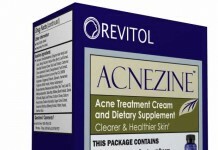 This is simply the function carried out by antibiotic treatments for acne. 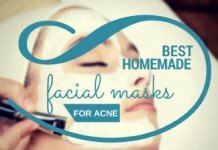 And this is certainly the way we can fight acne and break outs. In another study, UCLA researchers used pore cleansing strips to gather adult skin samples from 38 people who suffered from pimples and 34 people who did not. They further applied DNA sequencing to analyze and compare the bacterial makeup of both the groups. The results proved that the traces of P.acnes were prevalent in both groups. However, there were minute genetic differences in acne and acne-free group. 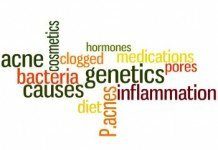 In the acne-free group the skin microbiome was rich in genes that related to bacterial metabolism. Which means that they prevent the colonization of harmful bacteria. On the other hand, the group that suffered acne had genes that were highly involved in production and transport of bacteria toxins. 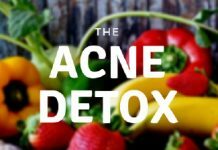 This in turn led to the infusion of pro-inflammatory compounds that trigger acne. 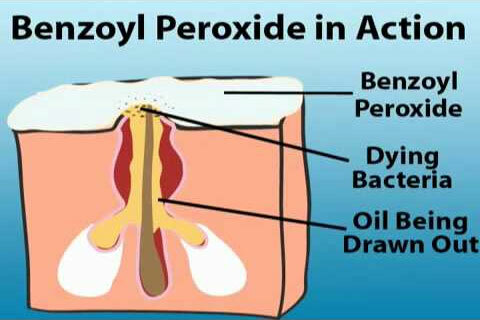 When it comes to killing bacteria that triggers acne, Benzoyl Peroxide serves as the most effective topical treatment. According to a research published in the Journal of Clinical & Aesthetic Dermatology, Benzoyl Peroxide is being used for acne treatment for five decades due to its remarkable ability to reduce acne lesions. 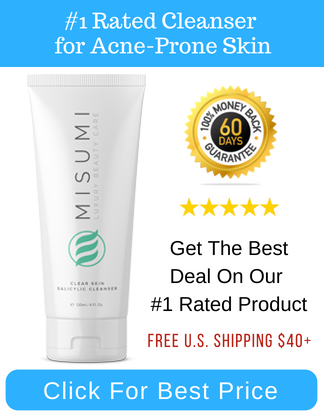 This is because unlike any other anti-biotic treatment that alters bacterial structure or specific enzymes it is directly toxic to pimple-causing bacteria. 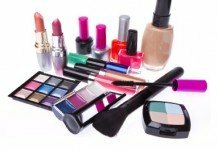 But the problem is that Benzoyl Peroxide can irritate skin. As published in this study, 2.5% Benzoyl Peroxide is the right concentration for the treatment of acne vulgaris. But those who have sensitive skin should opt for 1% concentration as they might suffer from itching or burning sensation. However, a few years back researchers came up with a natural alternative of Benzoyl Peroxide- Thyme Herb. Since, the use of Benzoyl Peroxide in the long-term causes skin drying and skin sensitivity the need of a natural substitute was there. 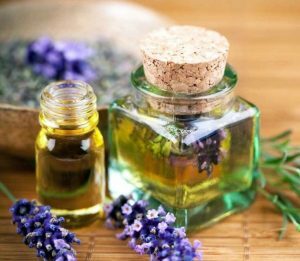 A research presented at the Society for General Microbiology in Dublin tested thyme, marigold and myrrh in alcohol to create a tincture. When this tincture was applied on the acne bacteria, it had a strong anti-bacterial effect out of which thyme was the most potent. Below is a list of reviews that involve different paradigms of treatment for acne caused by bacteria. This is a gentle Benzoyl Peroxide face wash that’s good for use daily. It contains a 4% Benzoyl Peroxide concentration that is substantial enough to kill pimple-causing bacteria. Formulated for normal to oily acne prone skin, this often has a less drying effect on the skin. However, it is not recommended for sensitive skin. Tea tree oil is the most common herbal remedy or ingredient in acne care products. It has strong anti-bacterial effect and kills bacteria within 72 hours. 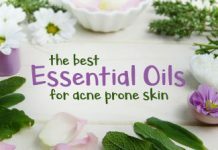 Unlike benzoyl peroxide, tea tree oil also holds anti-inflammatory property. 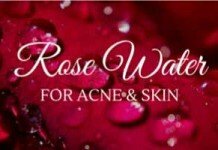 Since it is a natural ingredient it does not dry out your skin and prevents blemishes. However, you should carry out a dab test before applying and wait for 12 hours to make sure there are no allergic reactions. Tea tree oil can be applied directly on skin with a carrier oil. Isotretinoin, also known as Accutane is taken in the form of a pill. 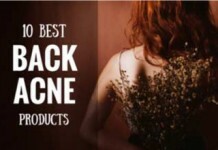 It suppresses excess oil production and helps shed dead skin cells and oil plugs. 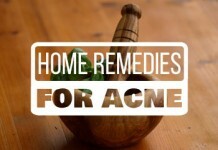 Besides, it also reduces inflammation and the growth of P.acnes. Anyhow, you need to seek dermatologist’s advice before consuming the pill. There are high chances of getting sunburn so you need to avoid long sun exposures during use. It might cause birth defects hence, it is not suitable for pregnant women. This 5.5 % benzoyl peroxide treatment offers a stronger bacteria-killing effect and is designed for normal skin types. It is considered the best LHA treatment as it exfoliates skin and keep your pores clog-free. Since this is a topical cream it is most suitable to use at night time as you can leave it overnight. And just as good a product it is, it has just as good a price. Tetracycline is used to cure moderate to severe acne, especially on the chest and back. It works by killing bacteria in your skin pores. Since it is an anti-biotic you can only use it when prescribed by a doctor. It needs to be taken along with topical treatment such as benzoyl peroxide gel. As an anti-biotic it has strong side effects that interfere with the efficacy of birth control pills. Apart from this, they increase sun sensitivity so you need to take protective measures while you are in sun. 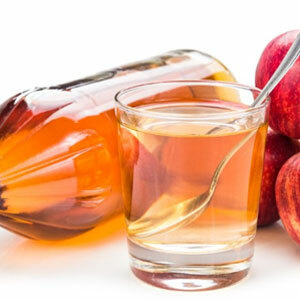 According to two separate studies published in Applied Microbiology and Biotechnology & International Journal of Cosmetic Science, apple cider vinegar has strong capacity to kill blemish-causing bacteria. 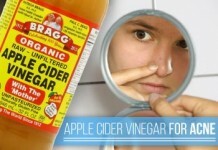 There are numerous ways apple cider vinegar can be used but the simplest is an apple cider vinegar toner. All you need is two tablespoons of organic apple cider vinegar, one teaspoon aloe vera gel and two cups of water. Mix well and refrigerate after storing in a spray bottle. You can spray the toner on your neck and face avoiding the eye area twice a day. Differin Adapalene Gel is a type of retinoid and plays pivotal role in treatment of acne. Adapalene open pores and combats the inflammation caused by acne bacteria. This reduces blemishes and pimples alongside counteracting wrinkles and aging. This is an effective OTC treatment and there would be only few dermatologists who wouldn’t recommend this to you. Use it few times a week and gradually reduce to night application only. This was our effort to give you a research-based insight on bacterial acne. We hope you find the different treatment options reviewed above helpful. You should consult your dermatologist for any further help. Do let us know about any treatment regimens that you follow to cure bacteria induced acne in the comment section below.